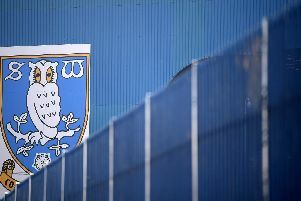 Sheffield Wednesday boss Steve Bruce says he is prepared for a “hostile atmosphere” at Elland Road tomorrow as the Owls look to keep their play-off hopes alive with a win against Leeds United. With five games to go, the Owls are six points off of a top six spot with Saturday’s match a must win if they are to stand an outside chance of a shot at promotion. A win for Wednesday at their Yorkshire rivals would dent Leeds’ ambitions of automatic promotion and boost Sheffield United's hopes of going up as a result. Despite the pressures on the match Bruce insists that his side will focus on their own performance, as he told the media: “I’ve had some good times there and some not so good times. “Whenever you go to Elland Road you know it is going to be a hostile atmosphere that’s for sure. Live on TV, teatime kick off, full house it will hopefully be a wonderful spectacle. “It’s pretty easy for us because we are still in with a squeak and we have got try and get a result to see what next week brings. “So we have got to see what we can do. It is going to be very difficult against a Leeds team that have been excellent this season, we have got to look after ourselves that will be my message. Bruce has the tough task of masterminding a way past Marcelo Bielsa’s side if Wednesday are to have anything to play for in their Good Friday game against Norwich City, but the Owls chief is confident his players will rise to the occasion. “That’s what we are in football for, for days like tomorrow,” Bruce said. “For our own sake we have got a squeak so we must take it if we can. “We know practically what system they are going to play and they are a good side. “Bielsa’s been very, very good and we are all a bit intrigued by him. He’s been a bit different and a breath of fresh air and I think wow, that’s a bit different but he’s done a smashing job. “His pedigree goes before him. The one thing he has done is get Leeds at the top of the table and they have got a positive attitude and the team reflects his intensity.